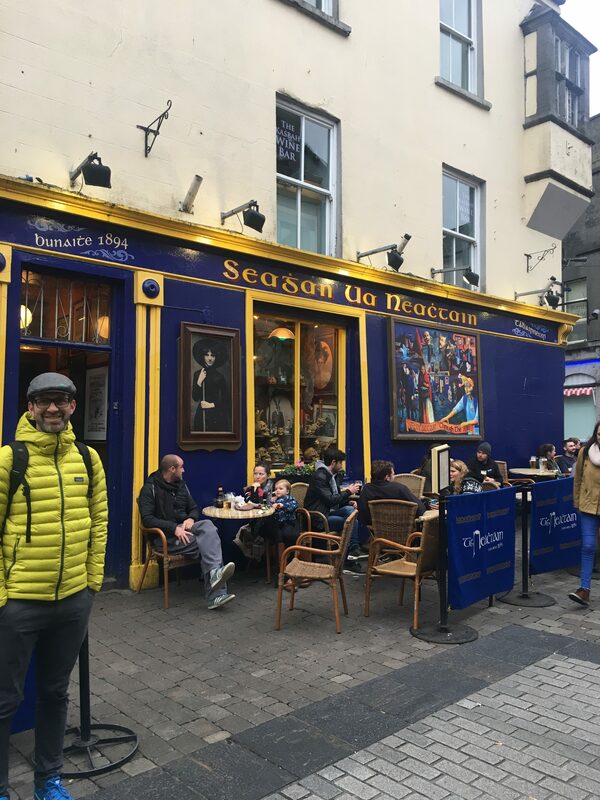 A couple of months ago we took the Finn McCools bus tour up to Northern Ireland. 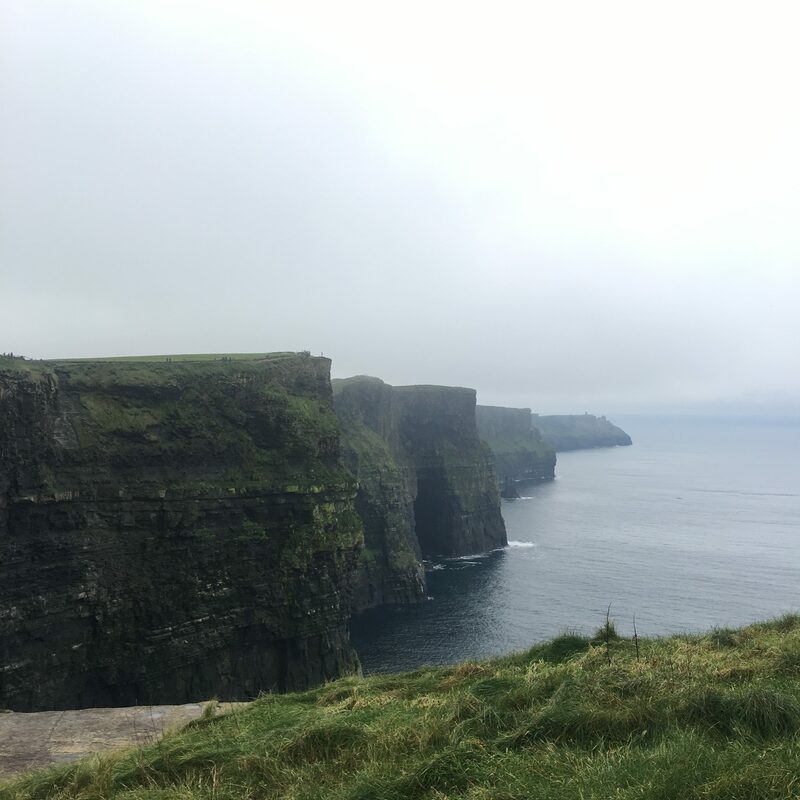 We loved the tour so much, we decided to use the same touring company to explore the west coast of Ireland, mainly to see the Cliffs of Moher. 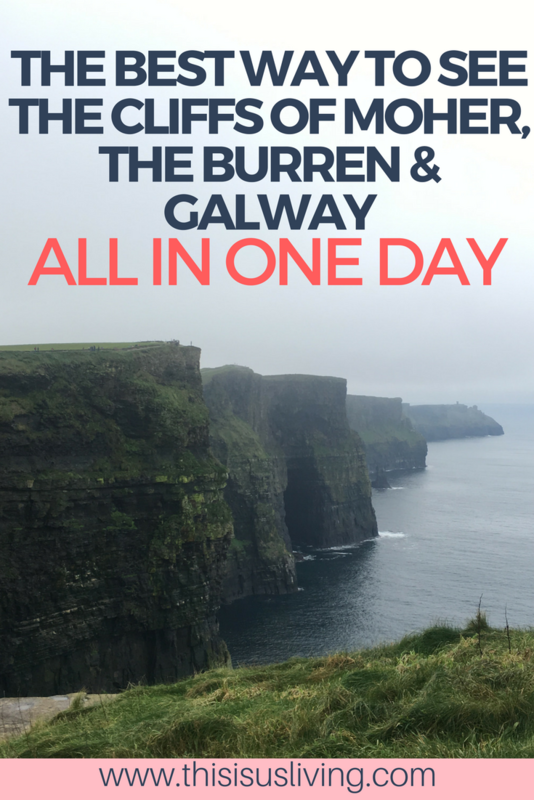 The cliffs are on every ‘Must -see’ list when visiting Ireland. 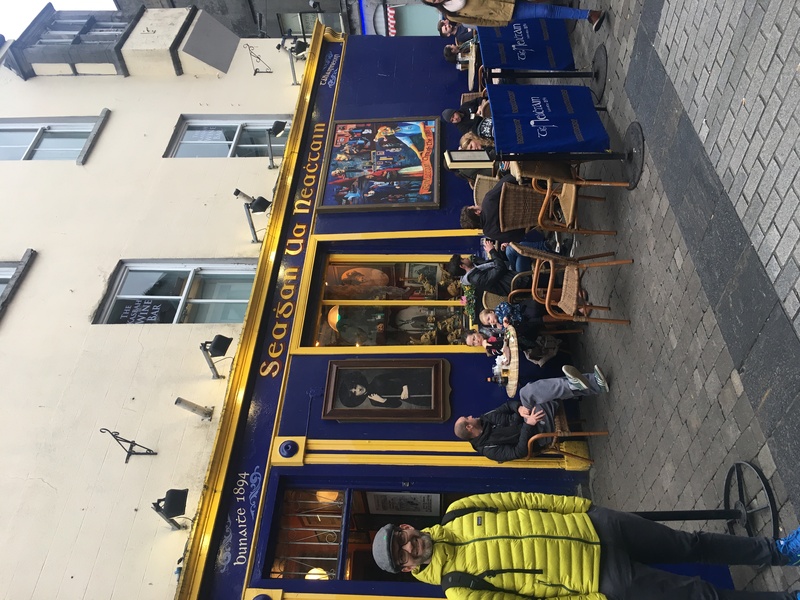 Since we have nearly been in ireland for a year, it seemed crazy that we had not yet gone across and ticked that off our list. I know bus tours go against most avid travel bloggers code of authentic tourist travel, but I honestly think that what is most important is choosing the right bus tour to take. We don’t yet own a car, and so it makes it a bit of a challenge to rely on public transport to get to these places. 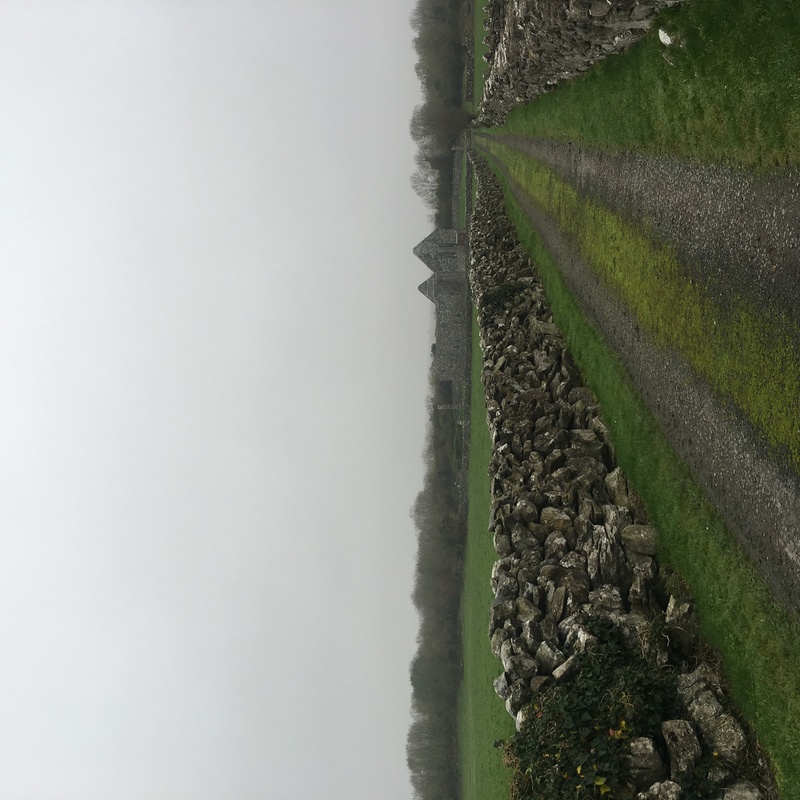 It’s easy enough to get from Dublin to Galway on a bus, but getting out in the country and having the flexibility to stop at the various sight-seeing spots is not so feasible when you are using public transport alone. If we had a car, then for sure I think taking it slow and driving it would be a great way to explore Ireland. But the great thing that tour busses offer is that they give you extra info as they drive you through to the various spots, and you can go and see them all within one day because your time is managed for you. The only way you get to fit so much into one day, is if the bus takes off from Dublin early, at 7am sharp. So it’s an early wake up call. I recommend doing it on a day where you don’t have an early start the following day because it is a long day! #ProBusTip: If you arrive early you can pick the best seats, plus the Finn McCool team offer free tea and coffee that you can grab before getting on the bus. Because you are travelling from the east coast to the west coast of Ireland, the tour does a good job of breaking up the drive by stopping a few times along the way. The first stop is a quick stop to give you a chance to grab some food and use the bathroom. #ProBusTip: Bring a picnic lunch from home – will save you cash, plus it’s hungry work travelling on a bus all day – pack extra snacks! 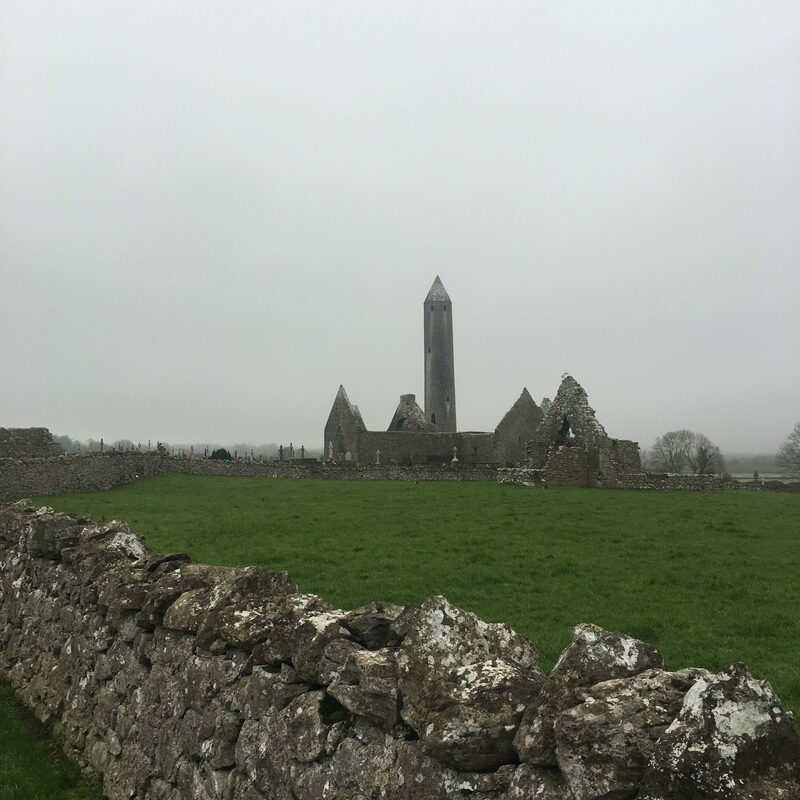 The next stop is a stop that is not offered by other bus tours, you get 30 minute photo stop at Kilmacduagh Monastery. 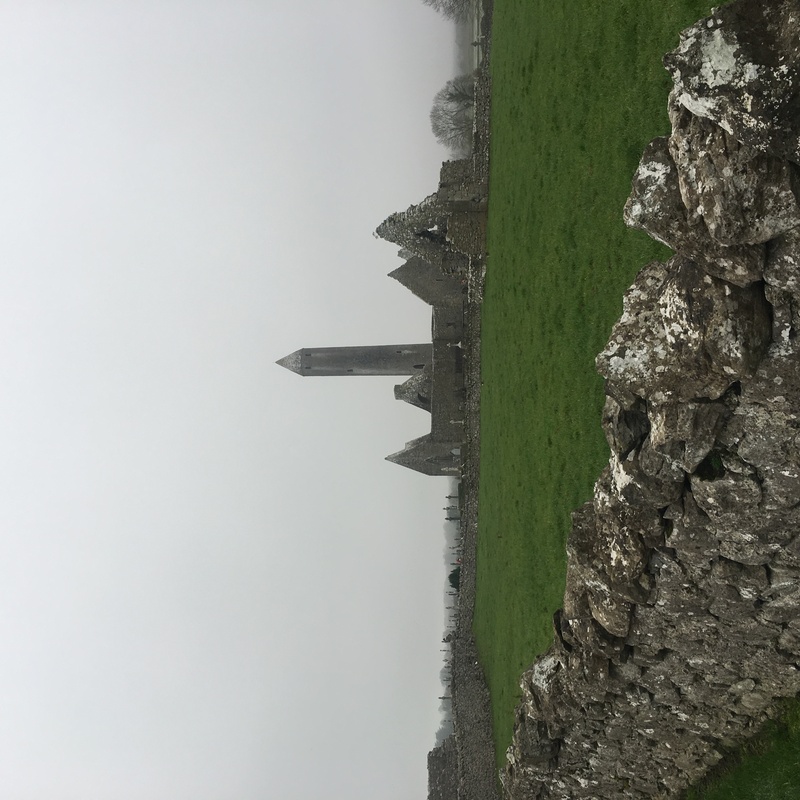 The 11th century monastery ruins are nestled in the countryside of Ireland, and I loved the windy roads we travelled to get there. It was also an opportunity to see another round tower. There are over 100 round towers dotted all over Ireland. The were built in the 12th century, and it is unclear on their purpose. They were built to be tall and skinny, and some think the reason for them was so that monks could climb in and hide during the viking raids. Others think that perhaps they were used as bell towers. No one really knows for sure, and since we moved to Ireland, I have become strangely fascinated in visiting all of them. There are over 50 that are still standing tall to this day. 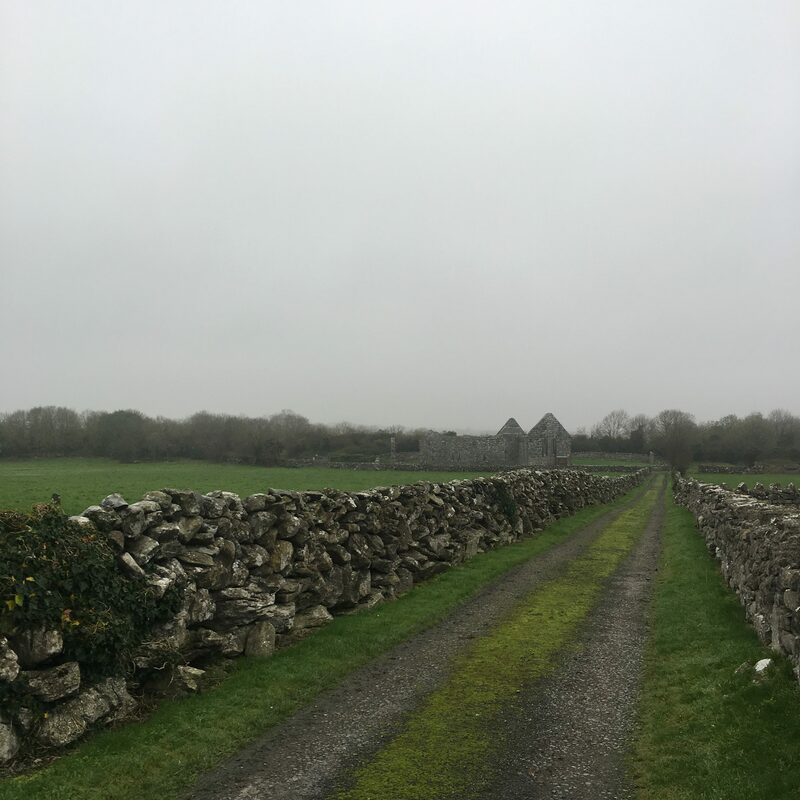 So far we have seen 3 of them: one close to home in Clondalkin (interesting exhibition that really tells you a lot more about them plus you can visit the Happy Pear vegan restaurant and store), the other in Glendalough, and now this one here in Kilmacduagh. The next stop was to see the iconic Cliffs of Moher! Unfortunately the day we went it was a bit misty, but the stop was over 1.5 hours, and thankfully the mist lifted and we were able to still catch a glimpse of the cliffs in all their splendor. We walked along the cliffs, and then walked the other way so that we could get a better view of them. There is a small restaurant and an exhibition area at the visitors center. 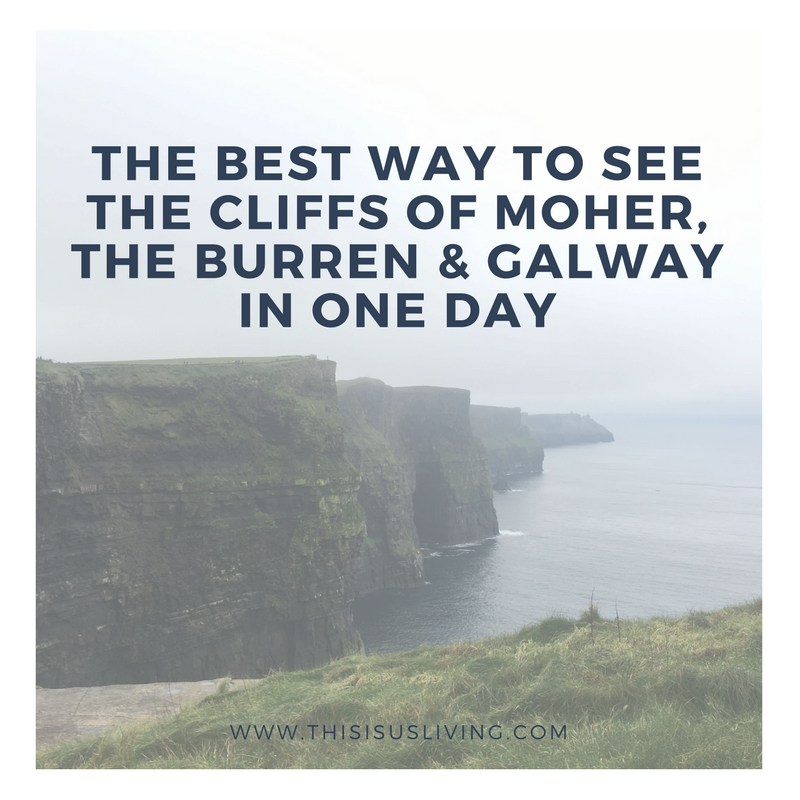 But I think the best thing to do at the Cliffs of Moher is to actually get out there and walk along them and see them with your own eyes. But don’t be too risky – we saw people jumping over the barriers to get the perfect selfie. In wet and windy weather, you are putting your life at unnecessary risk, not to mention there are signs everywhere telling you not to do it! #ProBusTip: entry to the Cliffs of Moher is included in the price of the bus tour! 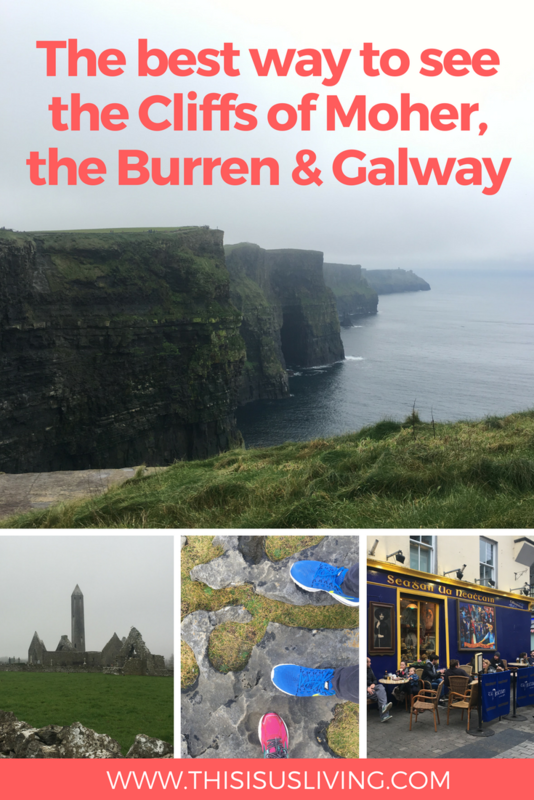 After the Cliffs of Moher, you get to travel along the wild atlantic way. 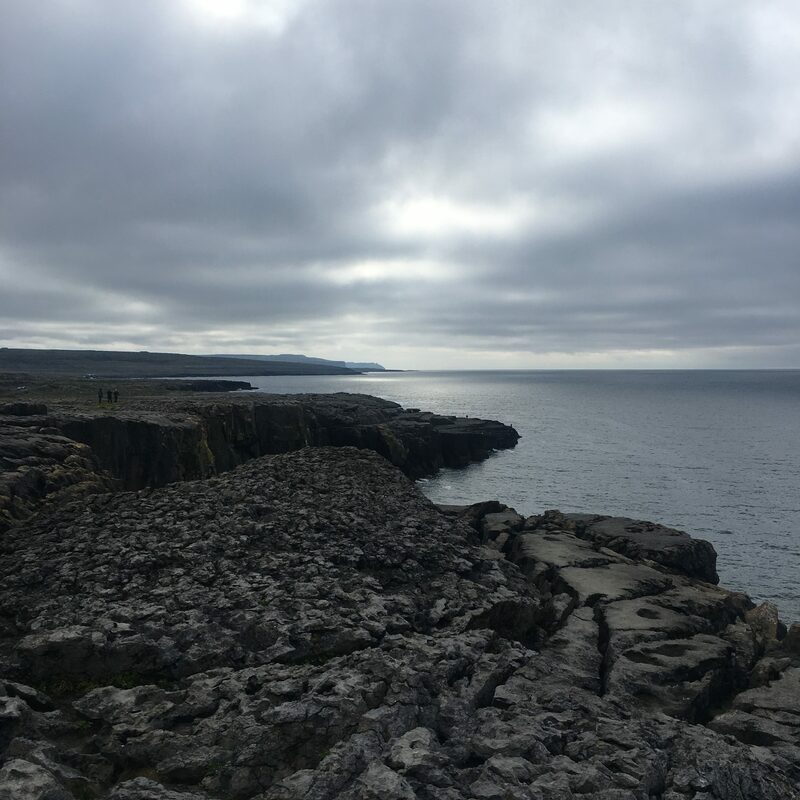 This part of the tour is really picturesque and on a clear day you can see the aran islands. 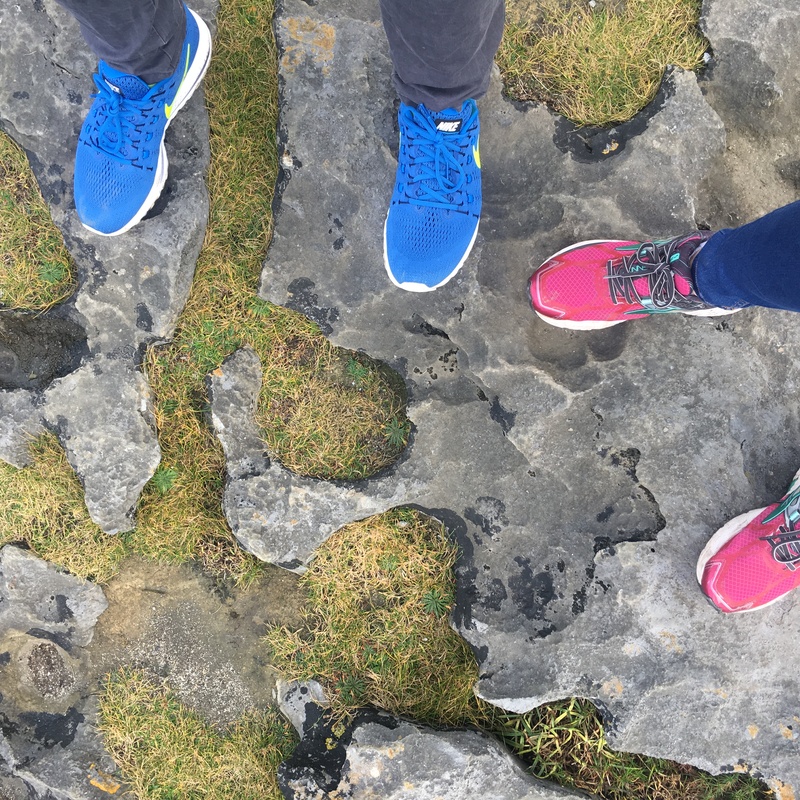 We did a quick photo stop at the Burren, where you can see the Cliffs of Moher is the far distance. 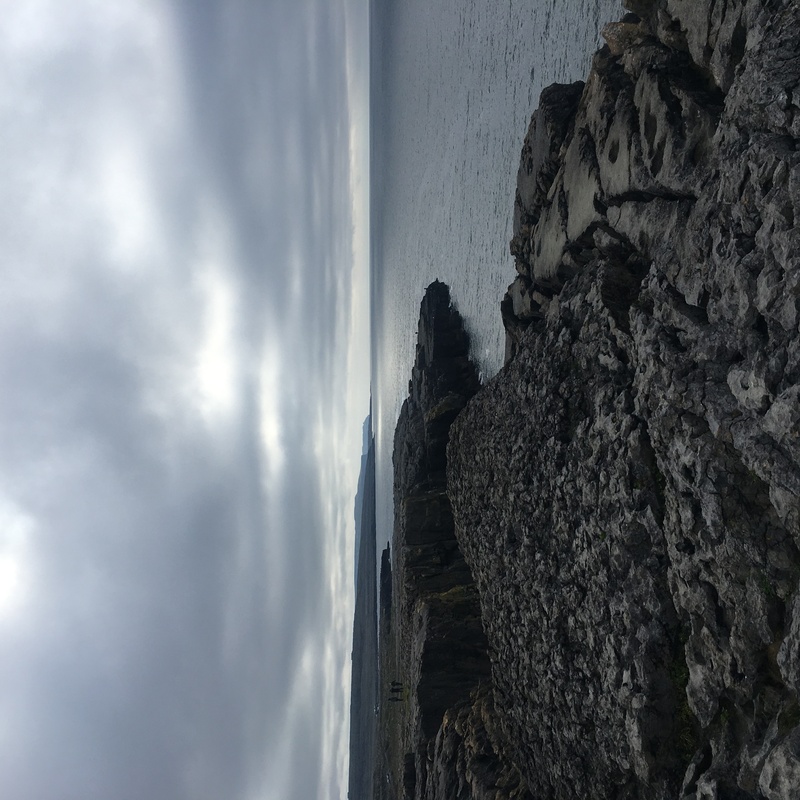 The Burren is a part of Ireland that looks nothing like the rest of Ireland. It is a huge area of hard limestone rock that looks like you are walking on the moon. Just be careful walking along the edge, it is a sheer drop! We left Galway at 4:30pm, and then made the long trip back home. It was a long way back home, I almost think the trip requires another rest stop. We arrived back in Dublin at 8pm. A bus tour is a great way to get out and see a lot in a short time, but I definitely think it will be worth going back and seeing things a bit more slowly on our own. 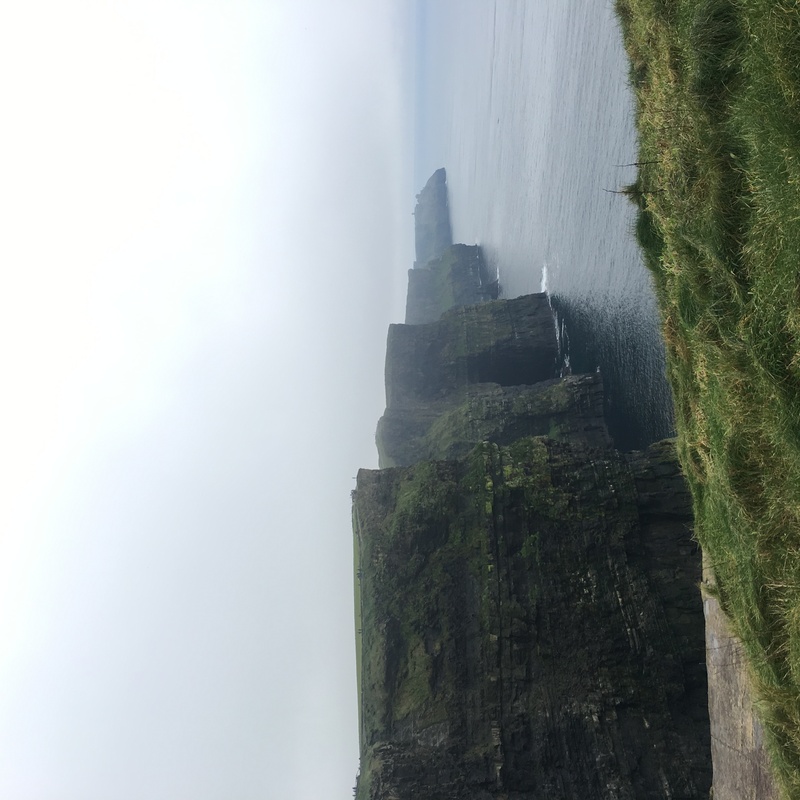 HAVE YOU SEEN THE CLIFFS OF MOHER? HOW DID YOU TRAVEL THERE – BY BUS OR BY CAR?